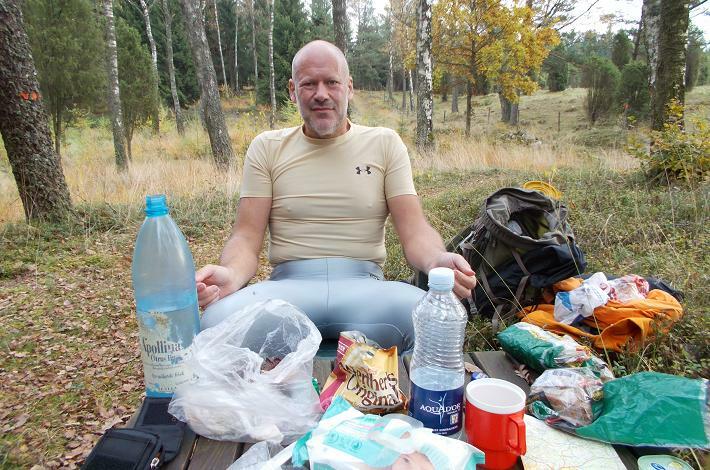 We reached Bollaltsbygget, and it was about time for a good lunch. It was quite a coincidence that we here found a camping table and two chairs standing at the edge of the wood. So we made use of the opportunity and sat down for a cosy lunch.